No doubt you have heard about the health benefits of omega 3 fats, but are you actually consuming enough? If not, your health, performance and body composition will not be what it could be. In week 12 of the 52 Weeks to Better Nutrition and a New You series, it is time to ensure you are on track for this. The human body needs certain fatty acids - we call them essential fatty acids. Two of them are EPA & DHA - both of which are from fish oils. One the reasons there is so much positive health effects to fish oil in the research is that the average North American is getting so little in their diet. When you correct a deficiency, you get tremendous benefits. 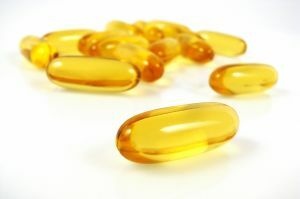 In the case of fish oils, you are improving the quality of the cell membrane which is made up of fat and thus improving health at the cellular level. There are numerous health benefits to fish oils which include: lower blood pressure, reduced risk of heart disease, lower bad cholesterol, stronger immune system, improved skin health, improved brain function, improved insulin sensitivity and joint lubrication. When your body is healthier, inflammation is reduced, your joints feel good and you recover faster your performance will be enhanced. Fish oil seems to help build muscle and burn fat. A large part of this is likely due to the fact that you can train harder and recover faster when your health is better and inflammation is reduced. Also, the improved insulin sensitivity is very helpful for fat loss. High insulin levels tells your body to store fat and improving insulin sensitivity means less is need to get the job done. I have found fish oils helpful in getting and staying lean. It is also worth noting for the aesthetically-minded that fish oil is great for your skin! In my sport nutrition class, I give my students and in-class activity that I challenge you to do: go to PubMed (a free online website with access to medical journal abstracts and articles) and investigate the benefits of fish oil for yourself. This week, is to adopt a habit of having wild fish (e.g. salmon) at least once this week. If you are like me, you would much rather eat chicken or beef than fish, but it is worth the effort. Bake, broil, barbecue - whatever you prefer. I claim no cooking expertise, therefore I will not offer any cooking tips other than to experiment, to ensure not to over-cook fish (as I have done countless times) and to seek advice from a real chef. On the rare occasion that we do go to a restaurant, I will often get wild salmon if it is on the menu. This usually means a more enjoyable fish meal than I can cook at home with my limited cooking skills. I challenge you to do the same if you are eating out this week. What about vegans or those with fish allergies? The best plant-based omega-3 supplement is algae oil. This is where the fish get their omega-3's from. If I was a vegan or allergic to fish, I would use an algae oil supplement. Add some omega-3 fish oils to your diet and enjoy the benefits!